Knowing what the best microphones for home recording are is very important if you are making and recording music at home. Whether you're making an album or creating music videos for Youtube in the hope of becoming the latest Youtube sensation, the microphone you use will have a huge impact on your finished product. With the advance of technology in recent years and the availability of great software, many musicians have been turning to home recording as opposed to using professional recording studios. There are many great microphones on the market and many being designed with home recording in mind. Here's a little look at the great options out there that won't break the bank and are currently being used my some of the most successful home recording artists and Youtube performers. Probably the most trusted and tested, widely used of all studio recording microphones, the Shure SM57 is an industry standard. It's an extremely versatile cardioid dynamic microphone and famed for its durability. Great for live performances as well as studio recording and has also been used by everyone from Michael Jackson to President Bush. 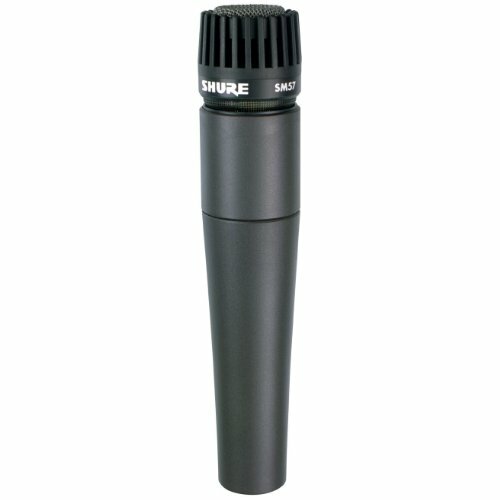 The legendary vocal microphone from Shure, similar to the SM57, intended more for live performances but still excellent for home or studio recording. Famed for its durability as well as its performance, you will see the Shure SM58 on the stages and in the hands of artists all around the world. The professional quality of the other Shure microphones but with the added bonus of being able to connect directly to your computer or laptop via USB. Perfect for the home studio and digital recording. Also has a built in headphone jack, monitor mix control and an integrated pre amp. Known as the most advanced and versatile USB microphone around, it has four recording modes: stereo, cardioid, omnidirectional and bidirectional. Also the first microphone to be THX certified. Extremely user friendly, just plug it in and off you go. Also has a built in headphone amplifier for monitoring. Ideal for home recording. I hope one of these excellent microphones help you on the way to superstardom. Amazon are doing the very highly recommended Blue Yeti USB Microphone at an unbeatable price (see above) which is the microphone Julia Nunes use's. Hope you find use in learning about the best microphones for home recording. Happy music making.